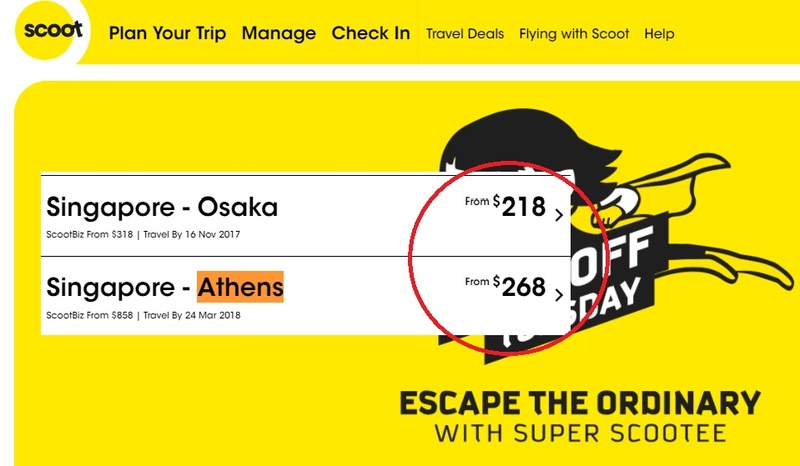 SCOOT PROMO GO TO ATHENS FROM SGD$268! WOW! You are at:Home»Featured»SCOOT PROMO GO TO ATHENS FROM SGD$268! WOW! Scoot recently launched promotion for multiple destinations. One that catches the eyes is a flight Singapore to Athens from $268 and Singapore to Osaka(Japan) from $218. It would be a shame to miss out this awesome promotion! Previous ArticleTWO CARS ON FIRE AFTER ACCIDENT ON BKE LAST NIGHT!